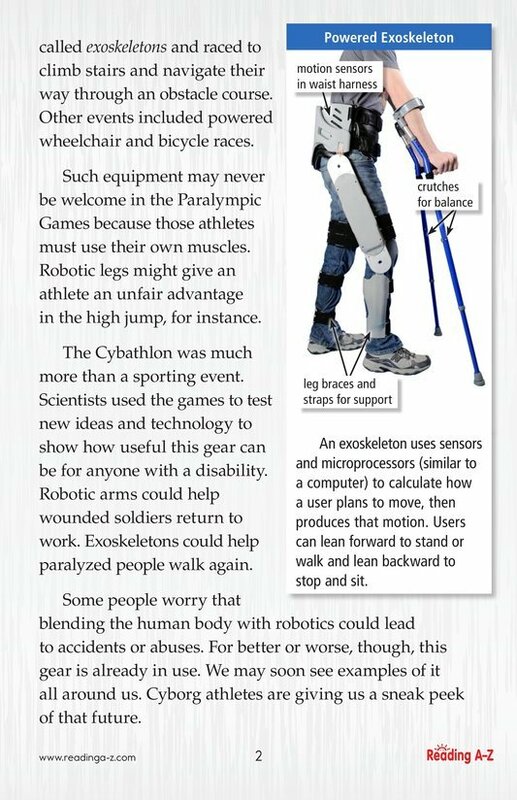 As technology advances, athletes with disabilities are using state-of-the-art robotics to boost their abilities. 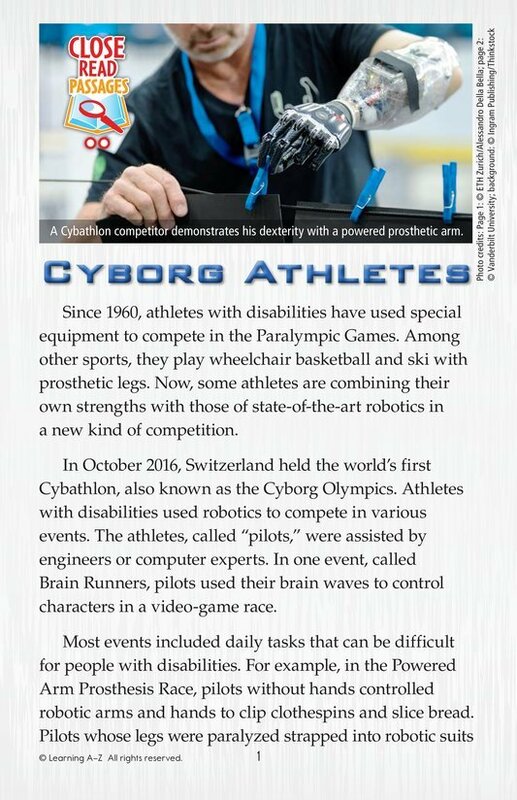 In October 2016, Switzerland held a “Cyborg Olympics” event for these athletes, called the Cybathlon. Students will read about the event and the amazing equipment being developed today. They will discuss if this innovative technology should be welcome in events such as the Paralympics and whether it’s a good idea for people to blend their bodies with robotics.